Does release occur immediately after the parole Board grants parole to an inmate? Answer: No. Once parole is granted, it takes a while for all inmates to be released. There is an administrative process where the Parole Division issues orders to the TDCJ Division and that has to flow from Huntsville to Austin back to Huntsville and back to the unit the inmate is on. There may be certain condition the inmate is tasked with by the Board before he or she is released. For instance, oftentimes the Board will say they will release an inmate after he or she has completed a six (6) month drug or alcohol course. That is sometimes known as an FI-5. You can see that on the TDCJ website. Other times, they will order that the inmate be released as quickly as possible. On average, only a third of inmates are granted parole, while our percentage is much higher at 85%. Improve the chances for parole – call us for a free consultation. If you are seeking information on behalf of an incarcerated loved one regarding the possibility of parole from the TDCJ prison, you have come to the right Texas Parole Attorney Chris Dorbandt. We are a law firm focused on parole issues and appear before the Texas Board of Pardons and Paroles monthly. If you have questions regarding the parole process in Texas, this website is a resource that provides answers. Feel free to send us question, or call us, if you have additional questions or need a parole consultation. Identify the right documents and information to forward to the Board, without overwhelming the Members with excessive or unnecessary information. I can guide the inmate on which courses to take to increase their chances of parole. Guide the family members and friends on writing letters of support to increase the inmate’s chances of parole. Guide the inmate on how to write a letter to the Board that will increase their chances of parole. Ensure the parole packet documents are sent to the correct Board so that they will be considered in a timely fashion. Consider and present other mitigating facts or evidence that may help the inmate’s case. Finally, appear before the Board to argue the inmate’s case, in the light most favorable to the inmate. Can family members talk to the Texas Board of Pardons and Paroles directly? Can I get my documents and photos back from the inmate’s parole file? How soon should I get started preparing for a Parole Hearing? Is the victim heard by the Texas Board of Pardons and Paroles? What are the chances of the inmate being paroled from TDCJ? What goes into an inmate’s parole packet? What if the Parole Hearing is two months away? What is an IPO Officer? Our first contact will generally be with a member of the inmate’s family. Every effort is made to spend as much time as possible or necessary to help the family fully understand the legal and factual issues, and to answer questions about the parole process. 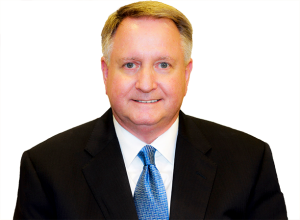 Why choose Texas Attorney Chris Dorbandt? I have an 85% Parole Success Rate. I know and understand the law regarding parole and revocations at TDCJ. I know the voting members and commissioners of the Texas Board of Pardons and Paroles and regularly appear before every Board in the state. I know how the system works for and against the inmate. I have a state-wide parole practice. You will know the flat fee up-front for the entire case. I handle many parole cases every month and have been doing so for many years. I will personally respond to your calls, emails, texts, and letters when you have questions. You will not get this level of service with most attorneys. I take pride in helping people and reuniting them with their families. With a “Texas Friendly” way, I guide the inmate, family, and friends to make the process easier and less stressful. Call us at 512.407.9700 or fill out the form below to receive a free and confidential initial consultation. The Law Office of Chris Dorbandt is a law firm in Austin, Texas which offers experienced personal injury legal representation to individuals throughout the State but more particularly in central Texas. We routinely appear in court in the following areas: Bastrop, Belton, Buda, Burnet, Canyon Lake, Cameron, Cedar Creek, Cedar Park, Dale, Del Valle, Dripping Springs, Elgin, Georgetown, Giddings, Hutto, Jonestown, Kyle, Lago Vista, Lake Travis, Lakeway, Leander, Lockhart, Luling, Manor, Martindale, New Braunfels, Pflugerville, Rockdale, Round Rock, San Marcos, Seguin, Taylor, Temple, West Lake Hills and Wimberley. We proudly serve Bastrop County, Bell County, Burnet County, Caldwell County, Comal County, Hays County, Lee County, Milam County, Williamson County, and Travis County.